Abner’s experience in community engagement, leadership development, social justice, and student advocacy fuels her goals for the Center. As a Jacksonville native, she felt a strong calling to encourage students in her hometown. By fall of 2017, gender neutral restrooms became a reality at JU. This was an amenity that students asked about when she first arrived, Abner said. 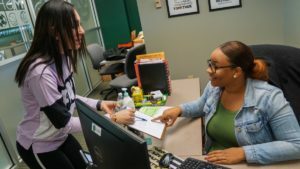 The Center also provides guidance to several student-led organizations. 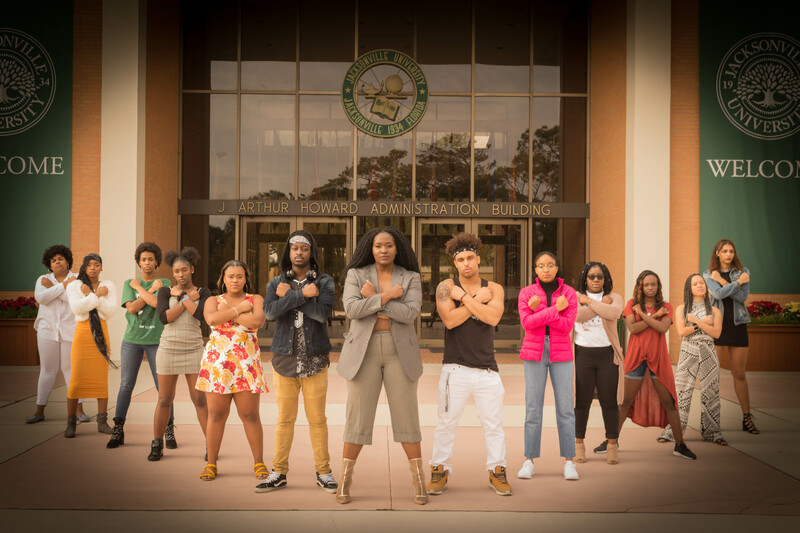 These include JU’s Black Student Union, International Student Association, and Ethnic Voices of Empowerment. This April, the Center hopes to introduce a multicultural commencement celebration. Graduation regalia representing minority organizations and LGBTQIAA students is in the works, too. Friday, February 1 Movie Night with the Residence Hall Association, Student Inclusion Center, and Black Student Union. February 1 – 28 The History Among Us hosted by the Carl S. Swisher Library where remnants of African-American gravesites on campus can be viewed and guests can explore a historical narrative that stretches back to pre-Civil War Jacksonville. Wednesday, February 6 African Dance Class with the Black Student Union to promote good health and learn more about African culture through dance. 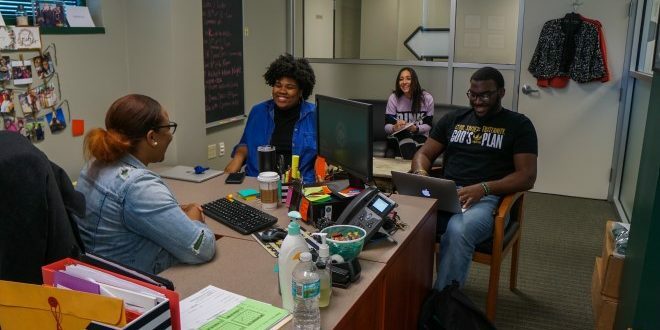 Wednesday, February 13 Speed Friending with the Black Student Union where you can meet new people and make connections across campus. Monday, February 18 What’s Your Purpose? with the Black Student Union, an opportunity to engage with members and reflect on your purpose. Tuesday, February 19 Glory Worship Night with Shake Culture and the Student Inclusion Center for another night of worship, poetry, and dance under the stars. Wednesday, February 20 Brothers Ya’ll Alright? with the Student Inclusion Center for a dialogue about minority males, mental health, and accountability. Thursday, February 21 I Came From a Place with the Hispanic Latino Student Association and the Student Inclusion Center to enjoy the art of storytelling and the journey of telling your own story while appreciating those of others. Tuesday, February 26 Does the Bible Support Slavery? with Ratio Christi and the Student Inclusion Center for a three-panelist forum about the Bible, world history, and modern America. Visit the Student Inclusion Center online or email pabner@ju.edu.